﻿ Light Up: Meet the Unique Contemporary Lighting Fixture! Light Up: Meet the Unique Contemporary Lighting Fixture! The NIVO lamp, the sculptural lighting design to make your day. Today, we bring some shiny, bright contemporary lighting designs. With some of the brightest ideas around, the contemporary lighting fixture we’re going to bring you today is going to be, certainly a fountain of inspiration in your day! Got Curious? Take a Peak! Nivo is a piece of contemporary lighting design by the Colombian industrial designer Mauricio Sanin for Moak Studio. The inspiration for this creation was the classic forms of the Danish architect and designer Poul Henningsen. The inspiration for this architectural lighting design was the experimentation with levels of different reflections in the projection of light. The focus to bring the best lighting possible for a modern house lighting design. The hanging lamp is produced in ash wood and completed by a flat cable covered in textile. Available in multiple colours, this lighting design brings also a vintage touch in the bulbs. With 11.5 cm high, and 150 cm of wire this lighting fixture will for sure brighten up your day with its wondrous detail and peculiar parts. 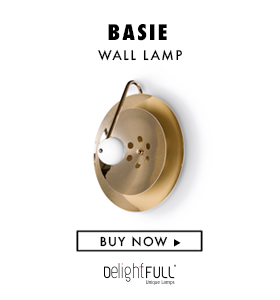 Designed to bring some natural sense to any home decor, this lighting fixture is suitable for a simple yet stylish design. The personality of this contemporary pendant light is a combination of various points. The materials used in the production merge with the brand and the different colours enhance the versatility that wood has in the development of lighting and furniture products.